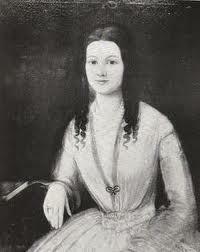 Lucretia Hart was born March 18, 1781 in Hagerstown, Maryland into a wealthy and socially prominent family. She moved to Kentucky with her parents in 1784. 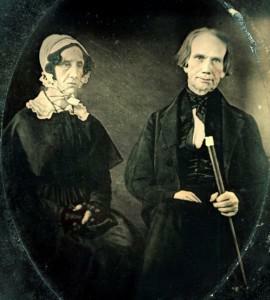 Henry Clay was born on April 12, 1777, in Hanover County, Virginia to a middle-class family. Clay studied for the bar with the eminent George Wythe [link], and at age 20, moved to Lexington, Kentucky, where he developed a thriving practice and met his future wife. 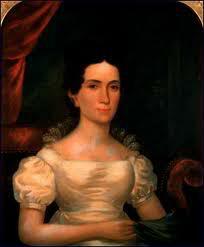 After a brief courtship, Lucretia Hart married Henry Clay April 11, 1799 at her family home in Lexington, Kentucky. Though Lucretia was not physically attractive, neither was Clay. 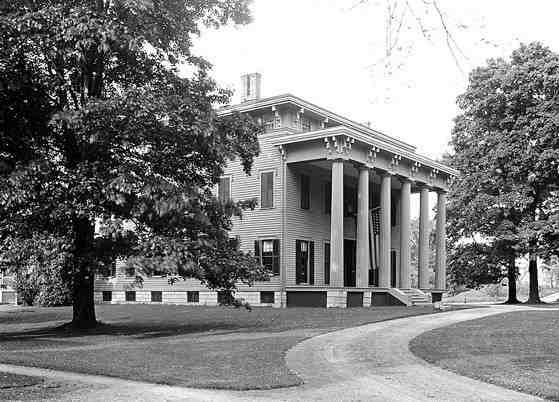 Far more important were her family connections, which placed Clay among the best and most influential political circles in Kentucky. That he loved to drink and gamble was no drawback in an age that admired both vices. Margaret Taylor was the wife of Zachary Taylor and the 13th official First Lady of the United States from March 4, 1849 through July 9, 1850. Although she supervised the running of the White House, she left the hostessing duties to her daughter Betty. The sudden and unexpected death of her husband abruptly ended her time as first lady. 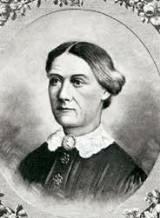 Margaret ‘Peggy’ Smith was born in Calvert County, Maryland on September 21, 1788, the daughter of Walter Smith and Ann Mackall Smith. Her father was a prosperous Maryland tobacco planter and veteran officer of the Revolutionary War, and Peggy was raised in a large brick plantation house. 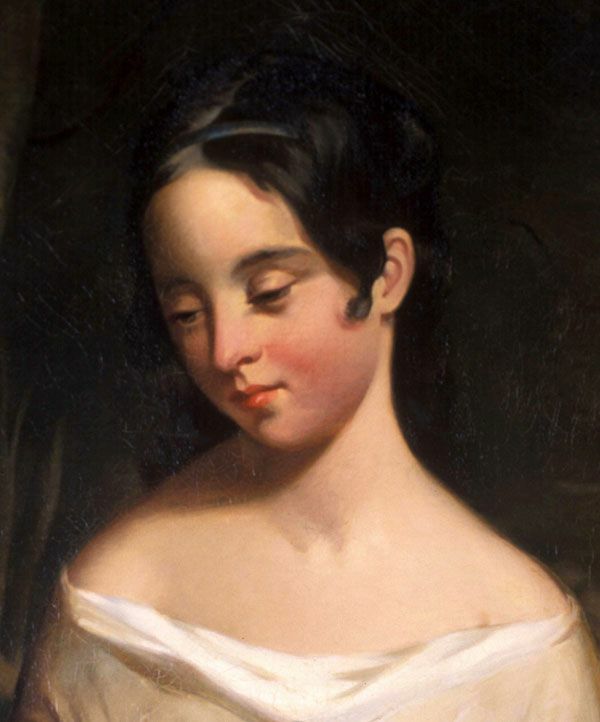 Virginia Clemm (1822-1847) was the wife of poet and author Edgar Allan Poe, who was best known for his tales of mystery and the macabre. They were first cousins who married when Virginia was 13 and Poe was 27. Poe’s love for Virginia Clemm was as constant as his often self-destructive determination to work in nineteenth-century America as a professional writer. 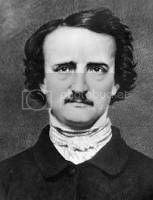 Edgar Allan Poe (1809–1849) was one of the earliest practitioners of the short story, and is considered the inventor of the detective fiction genre, and is credited with contributing to the emerging genre of science fiction. He was the first well-known American writer to try to earn a living through writing alone, resulting in a financially difficult life and career. 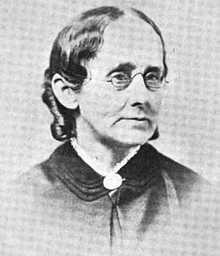 Virginia Eliza Clemm was born in 1822 in Baltimore, Maryland. 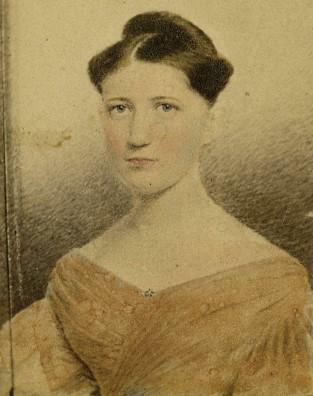 Her father William Clemm, Jr., a hardware merchant, had married her mother Maria Poe after the death of his first wife, Maria’s first cousin Harriet. Clemm had five children from his previous marriage and went on to have three more with Maria. After William Clemm’s death in 1826, he left very little to the family and relatives offered no financial support because they had opposed the marriage. Maria supported the family by sewing and taking in boarders, aided with an annual $240 pension granted to her mother Elizabeth Cairnes Poe, who was paralyzed and bedridden. Elizabeth received this pension on behalf of her late husband, who was instrumental in pushing the Tories – British sympathizers – out of Baltimore during the American Revolution. 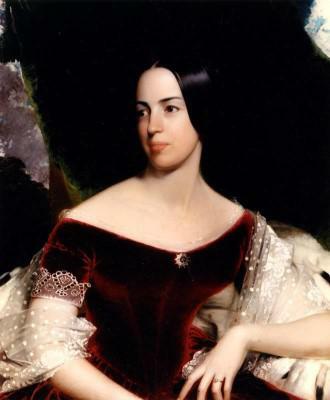 Letitia Tyler (1790–1842), first wife of President John Tyler, was First Lady from April 4, 1841 until her death on September 10, 1842. After giving birth to eight children in fifteen years, Letitia Tyler suffered a stroke, which left her unable to walk. Yet her poor physical health did not prevent her from overseeing her family’s successful Virginia plantation and raising their children. In fact, it was Letitia’s success in these roles throughout their married life that allowed John Tyler to pursue his political ambitions full time. Letitia Christian was born on November 12, 1790 on a Tidewater Virginia plantation named Cedar Grove in New Kent County, about twenty miles from Richmond. 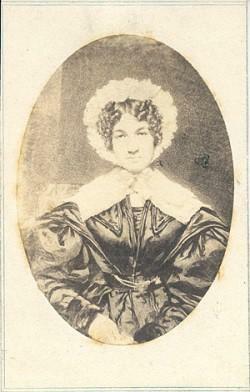 She was the daughter of Colonel Robert Christian, a prosperous planter, and Mary Brown Christian. Letitia was described as shy, quiet, pious, and by all accounts utterly selfless and devoted to her family.